The Azure PowerShell module is used to create and manage Azure resources from the PowerShell command line or in scripts. This quickstart shows you how to use the Azure PowerShell module to deploy a virtual machine (VM) in Azure that runs Windows Server 2016. You will also RDP to the VM and install the IIS web server, to show the VM in action. Create an Azure resource group with New-AzResourceGroup. A resource group is a logical container into which Azure resources are deployed and managed. Create a VM with New-AzVM. Provide names for each of the resources and the New-AzVM cmdlet creates if they don't already exist. After the deployment has completed, RDP to the VM. 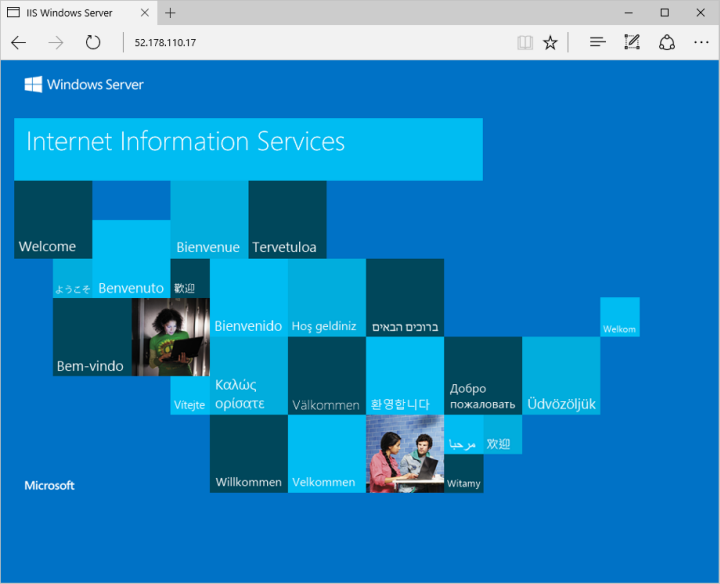 To see your VM in action, the IIS web server is then installed. Get-AzPublicIpAddress -ResourceGroupName "myResourceGroup" | Select "IpAddress"
Use the following command to create a remote desktop session from your local computer. Replace the IP address with the public IP address of your VM. In the Windows Security window, select More choices, and then select Use a different account. Type the username as localhost\username, enter password you created for the virtual machine, and then click OK.